Let’s get creative and build up your child confidence by exploring anti-form art. The Process Art techniques will improve your kids problem solving skill, planning, process thinking, and concentration. Experience hand-on activities including painting, crafting, and sculpturing. 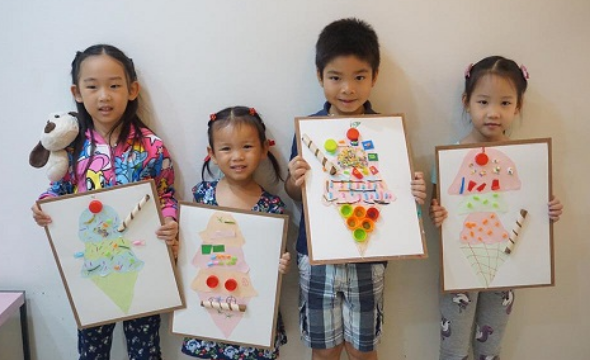 - Process Art course is an anti-form art created for children to explore freely. - We encourage children to involve in every steps on their own. - This course will teach children on their process thinking, not the beauty of their work. - Our course involves with various types of activities including painting, crafting, and sculpturing. - We encourage children to ask questions and try out the answers by testing on their own art work. - The course aims to improve concentration through making details on artwork. - Limit only 6 students per workshop with 2 teachers. - Activities include both indoor and outdoor (depends on number of students, age, and season). - All workshop are taught in English.